In addition to providing a payments platform for big clients like Lyft, Facebook, and Target, Stripe has been supportive of cryptocurrencies for several years. On Tuesday, Stripe reiterated its support for a viable digital currency, but said that bitcoin just isn’t cutting it. Going forward, Stripe will no longer accept bitcoin as a payment method. In 2014, Stripe was the hot new startup claiming that it was going to make online payments simpler than PayPal. It attracted VC funds from the most influential players in the tech world, including the founders of PayPal. The company’s CEO Patrick Collison told Recode that Stripe would become the first major payments platform to accept bitcoin, in part, because of its universality. “Bitcoin is something that anyone can get ahold of,” he said at the time. He added, “It may or may not be important in five years.” In the meantime, Stripe has grown into a major force with a $9.2 billion valuation, and bitcoin seems more important than ever. But according to Stripe, it’s just not important as a currency. Transaction confirmation times have risen substantially; this, in turn, has led to an increase in the failure rate of transactions denominated in fiat currencies. (By the time the transaction is confirmed, fluctuations in Bitcoin price mean that it’s for the “wrong” amount.) Furthermore, fees have risen a great deal. For a regular Bitcoin transaction, a fee of tens of U.S. dollars is common, making Bitcoin transactions about as expensive as bank wires. Because of this, we’ve seen the desire from our customers to accept Bitcoin decrease. And of the businesses that are accepting Bitcoin on Stripe, we’ve seen their revenues from Bitcoin decline substantially. In short, bitcoin’s price fluctuates so often that one side of a transaction inevitably gets screwed. Stripe seemed to take care to paint the overall Bitcoin project as a victim of its own success rather than imply that cryptocurrency is dead. 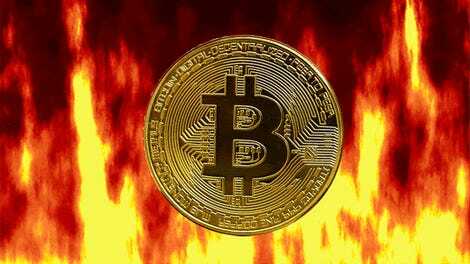 The explosion of interest over the last year has sent the price of bitcoin up by more than a thousand percent, but it’s also slowed transaction times and increased costs considerably. This has led to infighting in the bitcoin community over whether or not to expand the software’s limits on block size. Bitcoin’s core developers have stuck to the old ways, holdout supporters are lobbying for integration of the Lightning Network that should speed things up, and opportunists have created spinoffs with faster transaction times. Stripe isn’t endorsing any of these options as the future, instead, it elected to congratulate bitcoin on its success as a “novel, ambitious project” that has done very well. 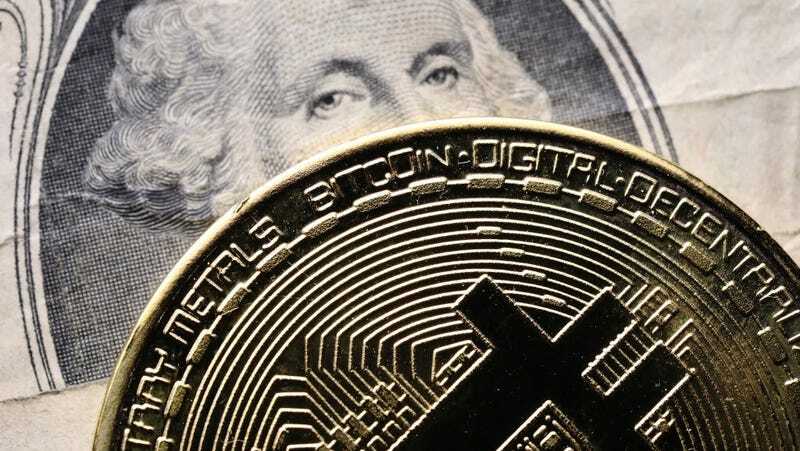 The US Securities and Exchange Commission has elected to view cryptocurrencies as a commodity, for now, and Stripe seems to be in the same boat. “Bitcoin has evolved to become better-suited to being an asset than being a means of exchange,” Stripe wrote. But Stripe is apparently leaving the door open for the future, shouting out the possibility that ether or a bitcoin variant could be a viable currency in the near future. In a line that’ll be sure to inflame bitcoiner conspiracy theorists on Reddit, Stripe said it “may add support for Stellar (to which we provided seed funding) if substantive use continues to grow.” Launched in 2014, Stellar is a non-profit blockchain system focused on money transfers via text message. Stripe’s announcement is another nail in the coffin for Bitcoin as a means of, ya know, paying for goods. It follows Valve’s decision to stop accepting the cryptocurrency on the Steam gaming platform and Visa’s move to freeze the accounts of Bitcoin debit card providers. Microsoft also rattled the markets when it briefly stopped taking bitcoin payments. At this point, the writing is on the wall for most companies. Bitcoin functions as some sort of “store of value,” or proof of concept for the blockchain, but it ain’t a currency.